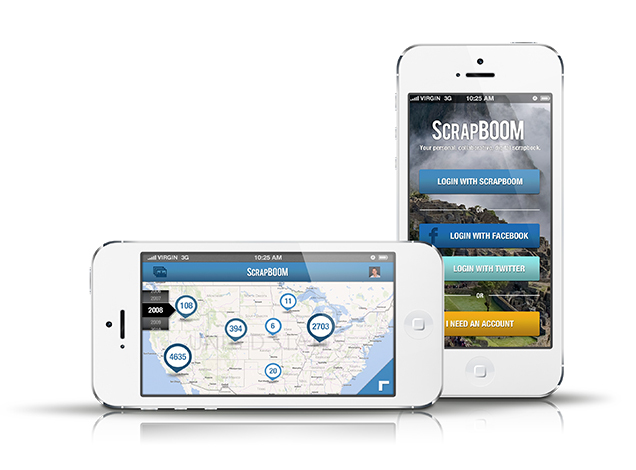 ScrapBOOM is an iOS based application. 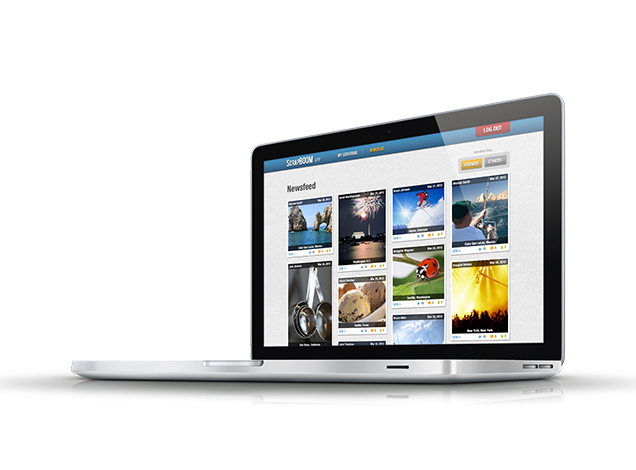 It functions as an interactive scrapbook. The basic concept of taking a picture, geotagging it, being able to tag whoever is associated and posting it as a “scrap”. 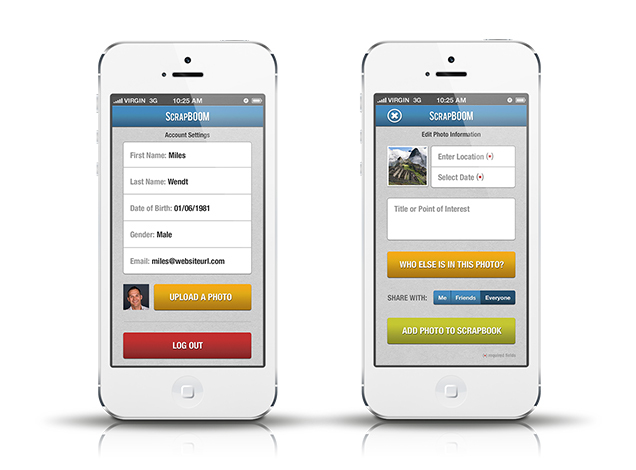 Each scrap can then be compiled into a scrap book that would live in your profile.